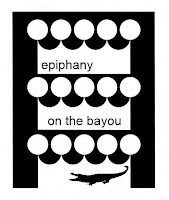 It's almost time for our Epiphany on the Bayou party. See you at 6:00 p.m. on January 6, 2012 at the Jacka's home. Bring your favorite Cajun dish, eat King Cake and have fun, fun, fun! May Christ's light shine in you and be manifest to the world!